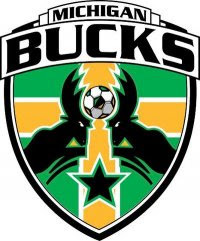 I’ve been doing my summer field experience in Rochester, Michigan with the Michigan Bucks semi-professional soccer team. So far this has been a very cool experience for me, it’s been very interactive and eventful. The athletes at this level are much more independent in regards to their injuries than any prior athletes I have worked with before. I have been given a lot of independence and freedom while working here which has helped me strengthen my skills and build my confidence in this profession. There have been a few different situations where my preceptor allowed me to take the lead and demonstrate my skills. I was able to steri-strip an athlete with a laceration on his eyebrow on the sideline, he then returned to the game. Another athlete had an avulsion of his hamstring. I felt the divot in his affected muscle and tenderness on the ischial tuberosity. Finally, an athlete had a fracture of his distal tibia. I splinted him with a SAM splint and we sent him to the ER. It was the first time I was able to splint an injured athlete. One interesting thing that we do with these athletes is run a regeneration practice after games. I think it’s a cool way as an athletic trainer to utilize other skills that we hone other than simply managing injuries. We work with them on stretching and cool-down exercises to help regenerate their muscles after competitions. I’m very happy with the amount of hands on experience and learning that I have been exposed to throughout my internship thus far. I believe that it is an extremely effective way of learning, for me especially. 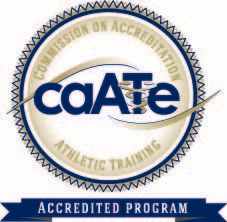 I look forward to continuing my work this summer and building my knowledge base for my future career.